Michael Sharron & Co is a property investment consultancy established in 2004 by Chartered Surveyor, Michael Sharron BA (Hons) MRICS. The company is committed to providing a professional and highly personalised service in sourcing for acquisition, and marketing for sale, commercial property investments on behalf of private, corporate and Institutional clients. Michael Sharron qualified as a Chartered Surveyor in 1993, after commencing his career in property back in 1990. This followed completion of his Accountancy degree and early traineeship at Chartered Accountants, Deloitte Haskins & Sells. Michael joined Anthony Green & Spencer surveyors in 1990 and later, in 1994, joined Allsop & Co in their Private Treaty Investment Department, becoming partner in 2000. In 2004, Michael set up Michael Sharron & Co, which he continues to run from its Mayfair office, at 6 Grosvenor Street London W1K 4PZ. 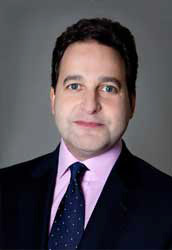 Educated at Harrow School, Michael is a founding committee member of the Old Harrovian Property Club. Michael enjoys Football, Cricket and Tennis, and is a keen supporter of Tottenham Hotspur. Michael is a member of the MCC and Hurlingham, and lives in West London with his wife and two children.